This Sunday Canada turns 145 years old and there is plenty to do to celebrate! 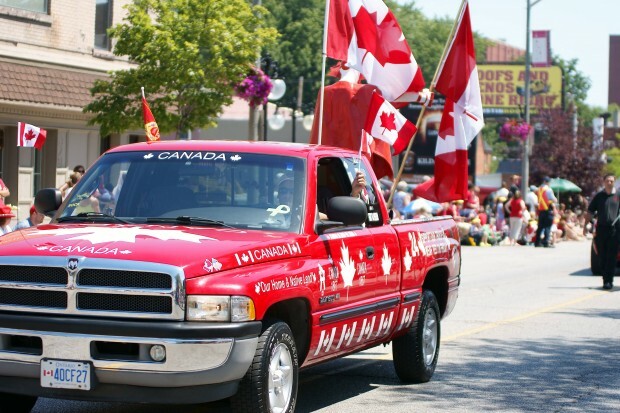 Thee annual Windsor Canada Day Parade will once again be held along Wyandotte Street East starting at Devonshire Road in Walkerville at 11am. The parade will proceed west on Wyandotte ending at Glengarry. Following the parade head to Fred Thomas Park for a birthday party. The giant cake will be cut at 1pm and buskers will entertain all afternoon long. There is also events happening in Lakeshore, Leamington and Amherstburg. For complete Canada Day fun, check out our Summer Festival Guide!